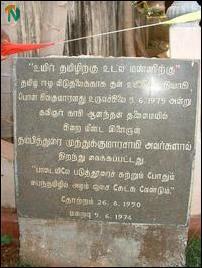 Student procession starting at Urumpirai junction marched to the Sivakumaran Memorial at Sivan Kovil, where several students paid floral tributes the memorial. 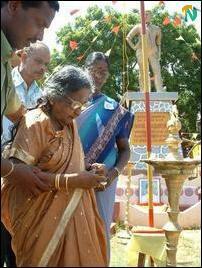 Kopay Christian College student Miss K.Kalaivani presided the event held at Urumpirai where Mrs Ponnuthurai Annaledchumi, mother of Pon.Sivakumaran lit the flame of sacrifice. 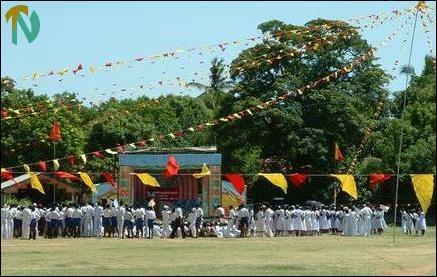 The Jaffna district head of the Student Consortium Mr.S.Elilanban hoisted the Thamileelam National Flag, sources said. 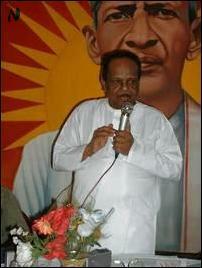 Mr.P.Sivasubramaniam garlanded the statue of his brother Pon. 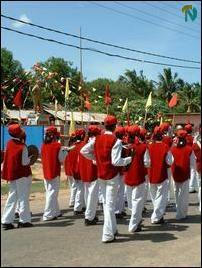 Sivakumaran. Student meetings were held in Nelliady Madhya Maha Vidyalyam in Vadamaradchy, Chavakachcheri Hindu College in Thenmaradchy, Pradheshya Sabha Public Grounds in Kayts, Yarlton College in Karai Nagar, Nedunthivu Maha Vidyalayam, Sivapragasa Vidyalayam in Chankanai, Jaffna Hindu College and in other places, early reports said. 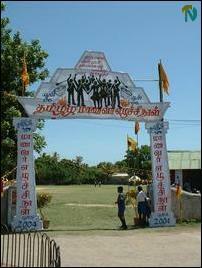 Students participating in the processions held in several places in Jaffna carried placards and shouted solgans demanding that the Sri Lanka Army should leave schools which have been occupied in the name of high security zones and also should close down army sentries and camps which are located in the vicinity of schools enabling free movement of students, teachers and parents. 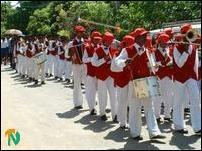 Students also celebrated in Mutur East in Trincomalee district and in Batticaloa. More details of these will follow when reports are filed from these districts.